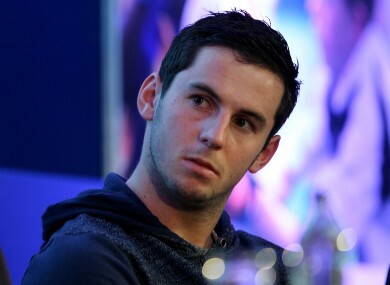 2014 Young Hurler of the Year Cathal Barrett returns from injury as Michael Breen earns a start. Cathal Barrett is fit again and included in the Tipperary team. TIPPERARY BOSS EAMON O’Shea has made two changes to his team for Sunday’s Munster hurling final against Waterford. In a reshaped defence, 2014 Young Hurler of the Year Cathal Barrett is fit again and takes over from injured Paddy Stapleton at right corner back. In the left corner, Conor O’Brien loses out with Ronan Maher dropping from the half-back line to fill the number 4 shirt. Michael Breen, who scored a goal after coming on as sub against Limerick in the semi-final victory at the Gaelic Grounds, has been handed a full senior championship debut at right-half-back. The front eight remains the same for the Premier County. Email “2 changes and full debut in Tipperary team for Munster hurling final”. Feedback on “2 changes and full debut in Tipperary team for Munster hurling final”.